The most valuable jade in the world is found in the Kachin hills of northern Myanmar. This 12 month investigation reveals it is worth far more than previously thought - up to US$31 billion in 2014 alone. That is equivalent to nearly half the GDP of the whole country, which badly needs it. But hardly any of the money is reaching ordinary people or state coffers. Instead, the trade is controlled by the military elites, US sanctioned drug lords and crony companies that the country's rebranded government says it is consigning to the past. These networks cream off vast profits while local people suffer terrible abuses and see their natural inheritance ripped out from beneath their feet. These injustices are stoking unrest in an already unstable and volatile region. 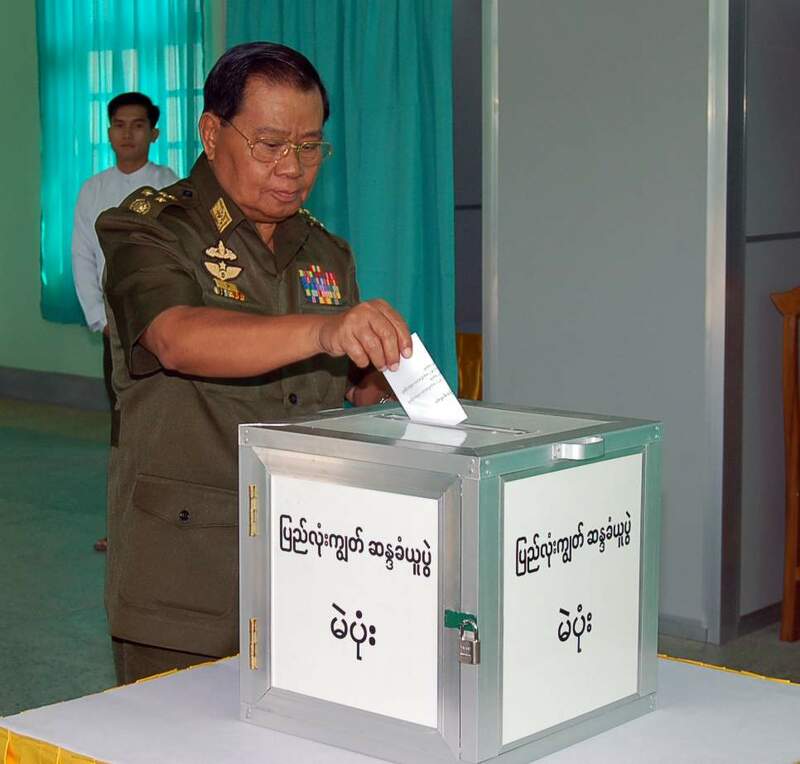 As an historic election approaches, it is hard to overstate the significance of these findings to Myanmar’s future. Our investigations show that the elites who between them have most to lose from an open and fair future also have access to a vast slush fund in the shape of the jade sector. This raises real questions for the government of Myanmar and its international partners, especially the US. Until now the jade sector’s worth has been almost impossible to determine. But on the basis of new research and analysis, Global Witness estimates the value of jade production to have been as much as US$31 billion in 2014 alone. To put it in perspective, this figure equates to up to 48 per cent of Myanmar’s official GDP and 46 times government expenditure on health. Clearly, if openly, fairly and sustainably managed, this industry could transform the fortunes of the Kachin population and help drive development across Myanmar. 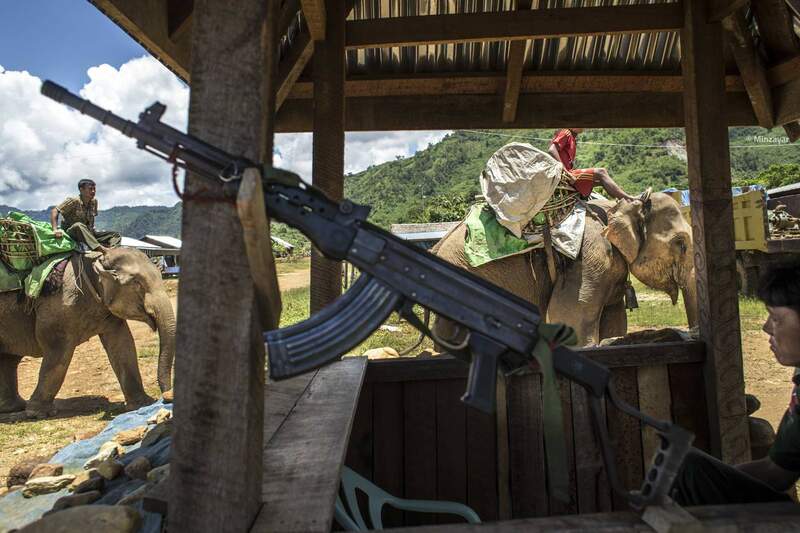 The jade business is also a significant driver of Myanmar’s most intractable armed conflict, which pits the central government against the Kachin Independence Army / Kachin Independence Organisation (KIA/KIO). The industry generates funds for both sides in a war which has claimed thousands of lives and seen 100,000 people displaced since it reignited in 2011. Yet while the situation is dire, the opportunities for change are real. Government reformers have signed Myanmar up to the Extractive Industries Transparency Initiative (EITI), an international framework for combating corruption. They have also initiated peace talks with the KIA/KIO. These are promising moves but both risk falling short if they do not directly address the need for a fairer and more accountable system of managing the country’s most important natural resource. Western governments that support the government, especially the US, have a key role to play here. With a range of sanctions imposed on individuals named in this report, and a leading role in the EITI process, the US is uniquely well placed to help take the jade trade out of the hands of military hardliners and crony companies. This short online report is taken from the Executive Summary of our main report, which is available here with full references. It sets out the epic scale of the country's jade trade, the corrupt elites who control it, and what needs to be done by the Myanmar government and its international partners to fix it. ...and how much are they making? 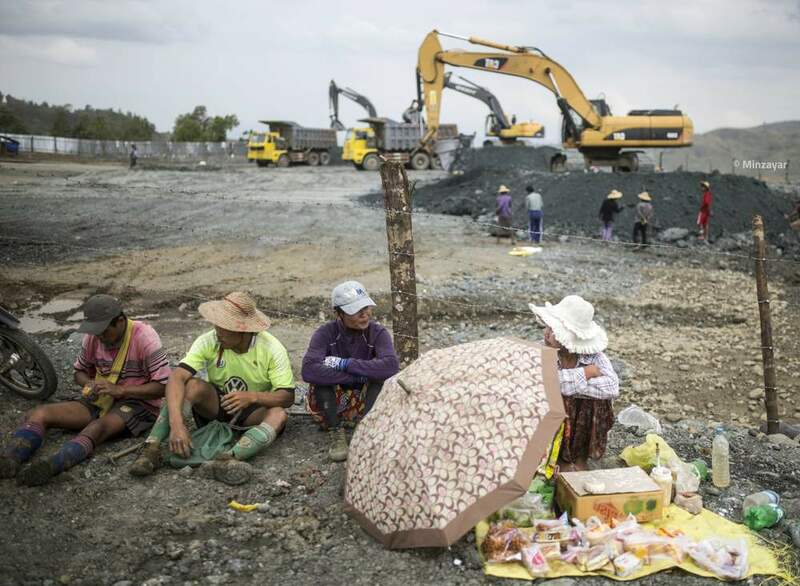 For years, Myanmar’s jade sector has been mired in secrecy. Ordinary people have been unable to access basic data on which companies hold mining licences; who those companies’ real owners are; how licences are allocated; what the terms of their contracts are; what they are paying the government; and how much they are producing. Because of this, little attention has so far been paid to who is really benefiting from the jade rush, or how this sits alongside the reform efforts.This report aims to begin to change that, identifying for the first time key players behind the companies awarded jade concessions by the government. 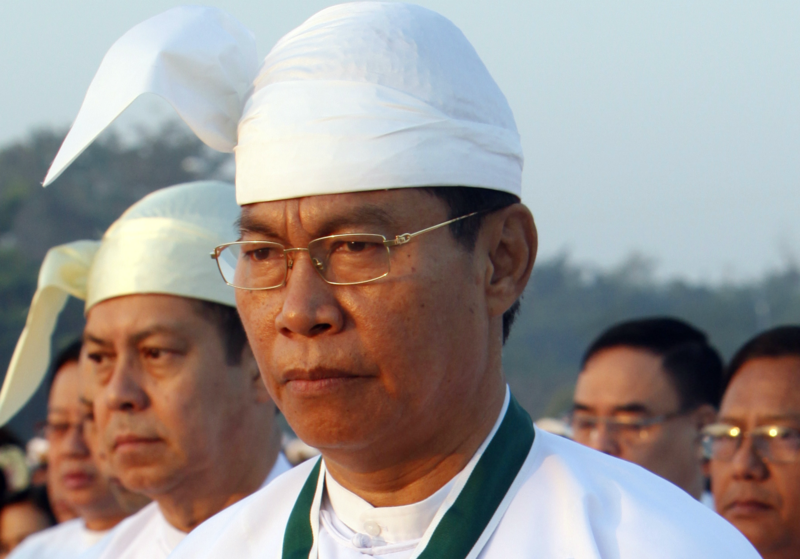 Myanmar’s jade licensing system is wide open to corruption and cronyism. 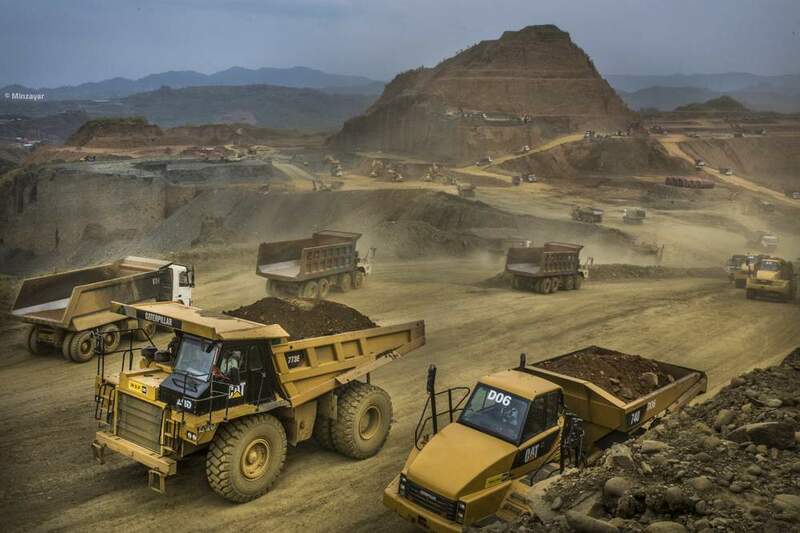 The main concessions are in government-controlled areas of Hpakant Township, Kachin State, and blocks are awarded through a centrally-controlled process which multiple industry sources say favours companies connected to powerful figures and high-ranking officials. In the words of one jade businessman, “if there is a big hat involved [in a bid], they will surely get it”. 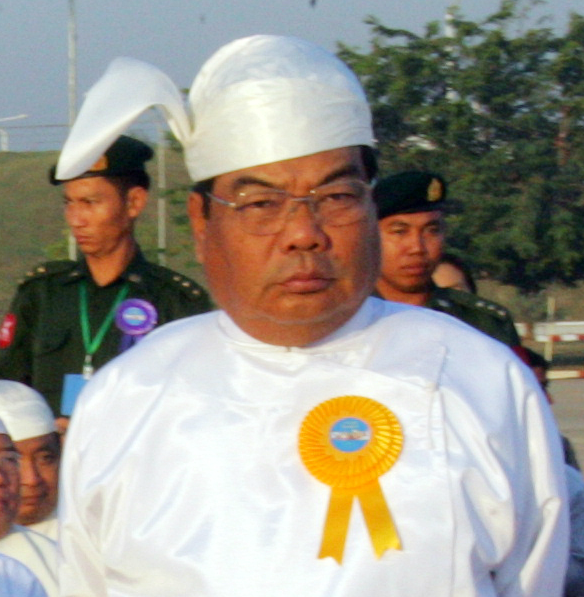 As well as holding a critical role in the Myanmar government, Minister Ohn Myint is well-known for his threats to slap people. Other key military figures include Deputy Minister for Social Welfare, Relief and Resettlement and former army Brigadier-General Phone Swe, and Deputy Minister for Communications and Information Technology, and former major general and director of defence procurement at the Ministry of Defence, Win Than. Deputy Minister for Social Welfare, Relief and Resettlement Phone Swe. Global Witness research indicates that these figures are making vast amounts from jade. The Than Shwe, Maung Maung Thein and Ohn Myint families hold multiple concessions which between them generated pre-tax sales of US$220 million at the 2014 jade emporium (the official government jade sale), and US$67 million at the 2013 emporium. Another company which Global Witness believes to be part of the Than Shwe family group posted sales of another US$150 million across the 2014 and 2013 emporiums combined. As the country heads towards election, when many fear hardliners may finance sectarian violence and dirty tricks, Myanmar’s citizens urgently need to know where the jade money is going. Myanmar’s army - known as the Tatmadaw - also holds official stakes in the jade sector, primarily through its companies Myanma Economic Holdings Limited and Myanmar Economic Corporation. Global Witness’ analysis of 2014 emporium data suggests these companies sold the highest quality jade, commanding an average price of over US$13,000 per kilogram. Between them, official emporium sales of army companies amount to US$180 million in 2014 and US$100 million in 2013. These firms are regarded as an off-budget fund for the Commander-in-Chief. 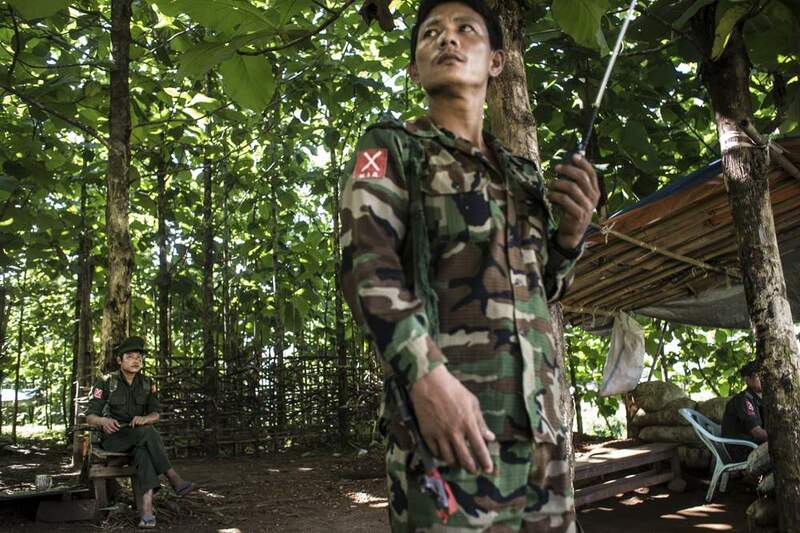 Many people in Kachin State believe jade revenues are helping to underwrite the army’s war against the Kachin Independence Army / Kachin Independence Organisation (KIA/KIO). There are also connections between the jade trade and drug lords. 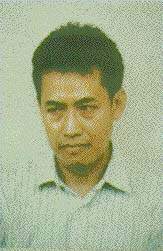 Wei Hsueh Kang is a narcotics kingpin and long-time financier of the United Wa State Army / Party (USWA/P) ethnic armed group who has a US$2 million US government bounty on his head. There is strong evidence that he controls a group of companies that are now arguably the dominant players in Myanmar’s jade industry. 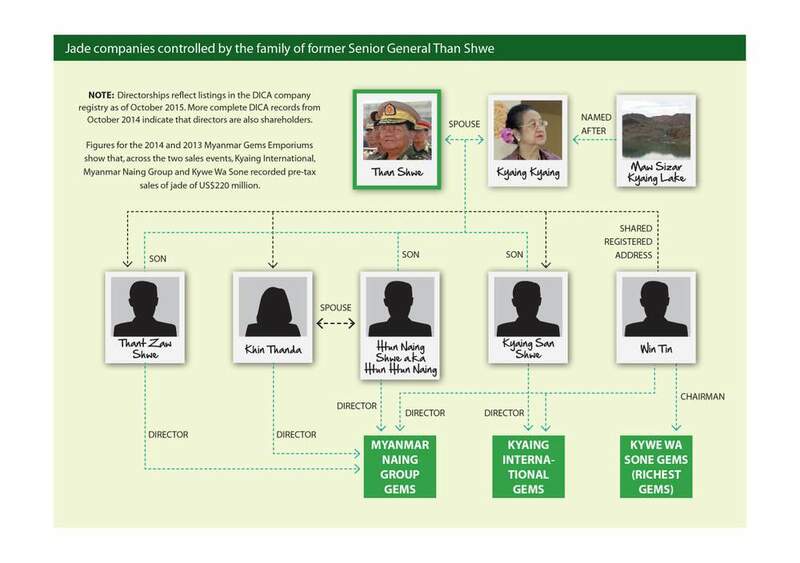 Companies run by Wei Hsueh Kang and other UWSA/P-related figures have been heavyweights in the jade business since the 1990s. The introduction of US sanctions forced a shuffling of the pack in the mid-2000s, but Global Witness investigations have identified five firms we believe are now the front for Wei Hsueh Kang’s jade ventures. These companies recorded pre-tax sales of US$100 million across the 2013 and 2014 government gems emporiums. 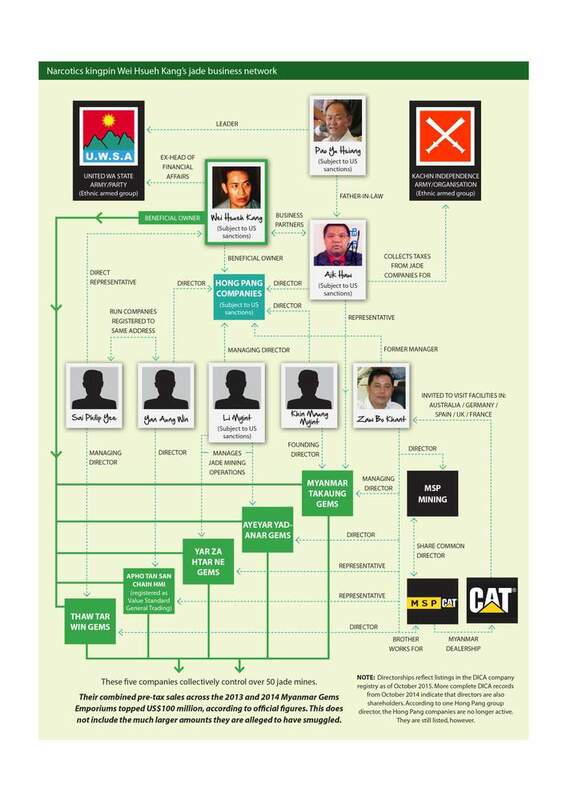 In addition, ‘crony’ companies - firms that emerged and prospered under the Than Shwe military junta - are also key players in the jade business. Most notable are the Asia World group established by Kokang drug lord Lo Hsing-Han and the Htoo Group run by ‘number one crony’ Tay Za, both of whom are subject to US sanctions. 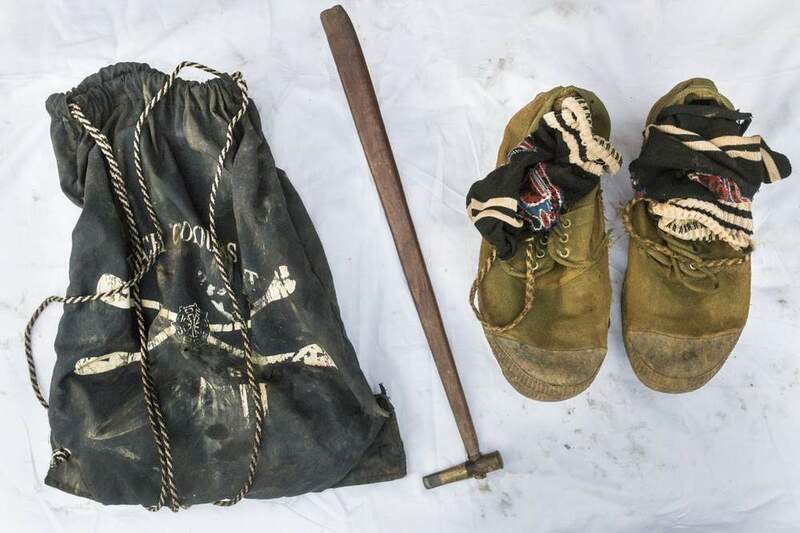 The belongings of Zaw Win Maung, killed by a backhoe digger in a waste dump used by a company linked to Ever Winner. He left a wife and 5 year old son - his family say they have received no compensation. Much more significant but virtually unknown is the powerful Ever Winner group of companies, which appears to encompass 12 jade mining firms. The Ever Winner firms between them made around US$190 million in official emporium sales in 2014 and just over US$120 million in 2013. 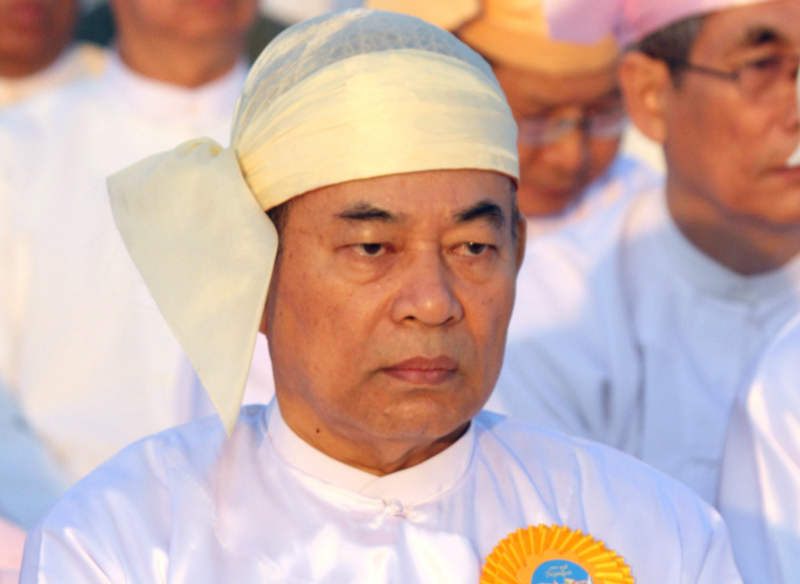 Global Witness research indicates that its owners are connected to politically influential tycoons including Aung Ko Win, the head of KBZ Group and Myanmar’s biggest bank, and media mogul Kyaw Win, the operator of Skynet satellite TV. Clearly, the extensive involvement of this range of individuals and organisations in the jade trade should sound alarm bells for all those with a stake in building a peaceful and prosperous future for Myanmar. These are not just political concerns, however. The secrecy and abuse at play in the jade sector can also pose major problems for global businesses operating in the country. The Coca-Cola Company and Caterpillar Inc. have both recently been caught out as new information on their in-country partners and associates has come to light. Caterpillar, meanwhile, has hosted in at least five countries the front man for a group of jade companies Global Witness believes to be controlled by drug lord Wei Hsueh Kang. In a response to questions the company said that its due diligence had not demonstrated that the companies named by Global Witness are owned or controlled by “a sanctioned party”. Jade is inextricably linked to the conflict in Kachin State. Watching licensed companies controlled by their worst enemies gobble up their natural inheritance is a source of simmering resentment amongst the Kachin people. 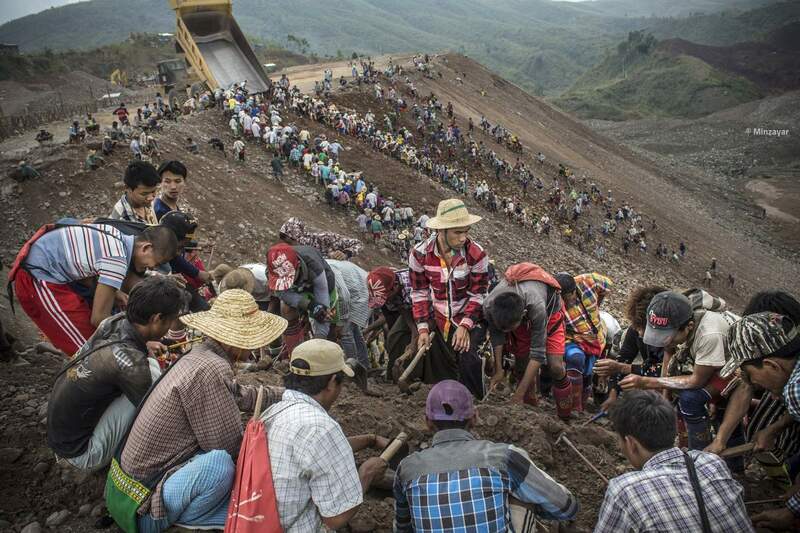 Around 2000 people stage a protest against abuses by government-licensed mining companies. Kachin Independence Army soldiers stand guard at a checkpoint. The army families and companies that own many of the jade mines would lose out in an equitable peace deal. They have the financial incentive and possibly the political reach to keep the conflict going until long-term central government control over Hpakant can be assured. The Tatmadaw officers in Kachin State are making personal fortunes through extortion of the jade business, and so have a reason to justify their deployment and keep the money flowing. Jade is the main source of income for the KIA/KIO. This makes the battle for control of jade revenues a strategic priority for both sides in the conflict. It is very unlikely that a peace agreement that does not meaningfully address the question of who manages and benefits from Kachin State’s jade will be a lasting one. 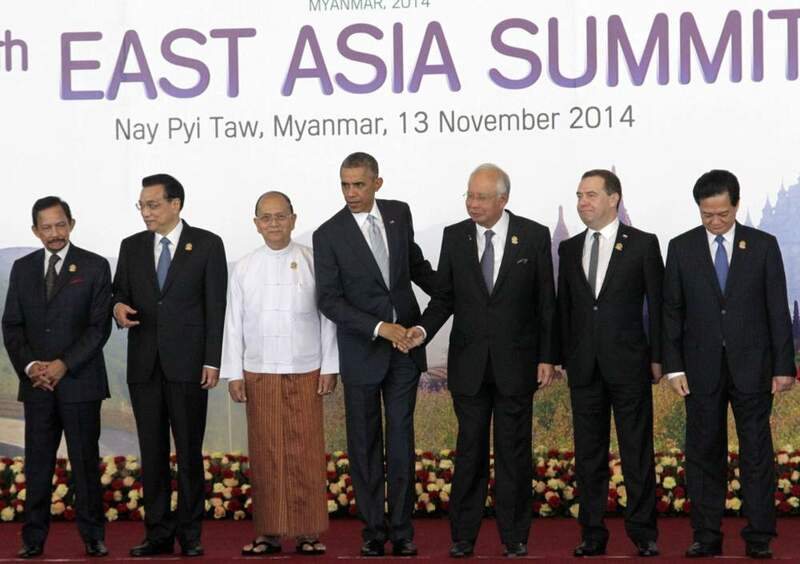 International partner governments have invested heavily in supporting the reform process in Myanmar. This is the right thing to do, but donors need to make sure their efforts deliver results for Myanmar’s people as well as warm relations with its leaders. Reform of the jade business is one of the issues that they should use as a benchmark for future aid disbursements. To date jade has not figured in the dialogue between Nay Pyi Taw and its new friends – this is a gaping blind spot which must be addressed. 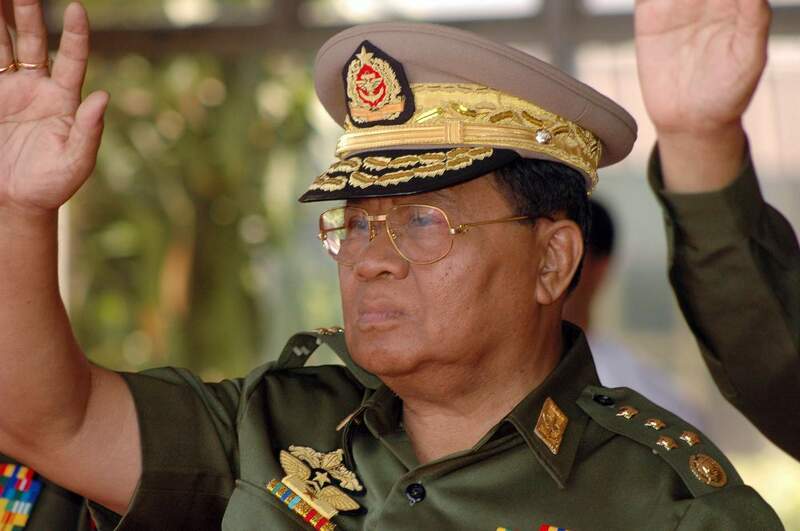 If Burma succeeds, we will have gained a new partner without having fired a shot. The approach taken by the US government will be pivotal. 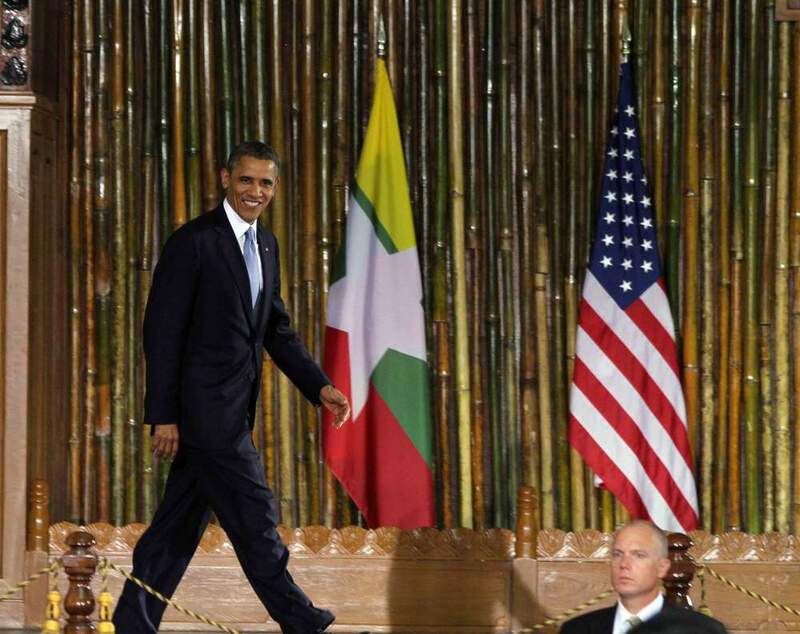 In practice, the US is the ultimate international arbiter on Myanmar’s political transition and both the Washington and Nay Pyi Taw governments know it. US diplomats have spoken up strongly for ethnic minority rights, and sought to play a constructive role in resolving the conflict in Kachin State. It is critical that they focus on what is happening in the jade sector. The US has sanctions on several of the individuals named in this report. The US and other donors have three main channels of influence over the jade sector: EITI, peace negotiations, and sanctions. Under President Thein Sein, the Myanmar government has taken the important step of signing up to the Extractive Industry Transparency Initiative (EITI), an internationally recognised framework for opening up the oil, gas and mining businesses. The US, UK, Norway, Australia and EU countries have all strongly supported this move. How EITI is implemented in the jade sector will be a key test of the government’s commitment to reform. The EITI could allow the public to see which companies are being given access to jade concessions and who these companies are ultimately owned and controlled by. It could also reveal the amounts of jade being produced and the government take of jade revenues derived both from tax and royalty receipts and through arrangements with state-owned enterprises. The publication of such data, combined with requirements to protect civil society space, could allow local groups to hold companies and officials to account for corruption or financial mismanagement. That’s why the government won’t invite representatives of the jade business to join this discussion [about EITI] because they are afraid that all the corruption and misery will come out and the world will see. 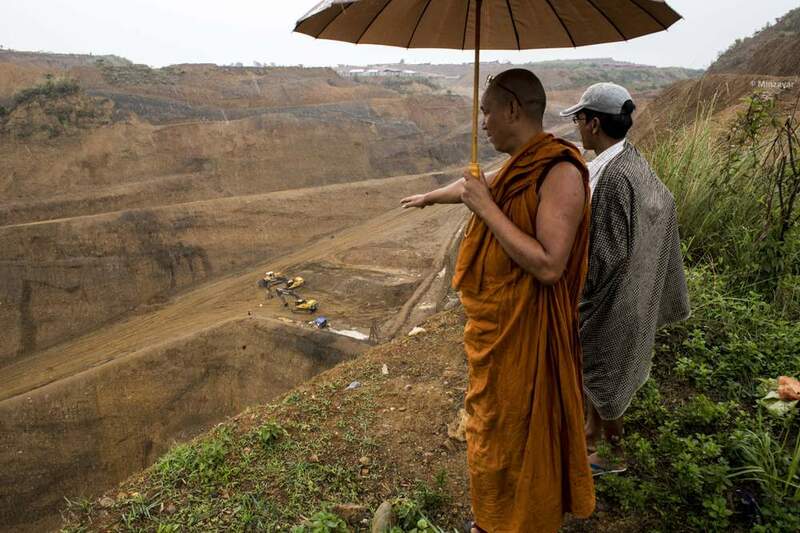 Conversely, if the scheme’s principles are not applied to the jade business as a matter of urgency, the opportunity would be lost and EITI’s credibility in Myanmar severely damaged. There are signs of positive movement, and from some unexpected quarters. Some government officials have begun to show a commendable willingness to make the sector more open,sharing data on policies, practices and, most significantly, which companies control which mines. This is an important first step towards the EITI goal of publication of the identities of the individuals who ultimately control jade and other extractive companies. Some of the big companies, too, have provided data that needs to be released under EITI. A surprising early champion of transparency is Htoo Group, owned by Myanmar’s most famous crony tycoon, Tay Za, which has made an early disclosure of data on its jade mining concessions, detailing its sales revenues and the taxes it has paid in respect of each of its jade concessions, in line with EITI standards. Tay Za's Htoo Group has unexpectedly stepped out of the shadows and volunteered data on jade sales and taxes. Another major jade mining player, the Ruby Dragon Group, has disclosed limited information on its ownership, including the names and national identification numbers of its shareholders; details which allow the backgrounds of these individuals to be checked. These chinks of light show that there is nothing to stop jade companies in Myanmar from being more transparent, as long as they have necessary support and incentives to do it. In 2016, Myanmar will publish its first EITI report, and the government has the chance to show that it is serious about reform by making public key data on jade licence terms, licence holder identities, production levels and revenues received. The US and other donors, including the World Bank and the UK, should use their influence to help support this outcome. 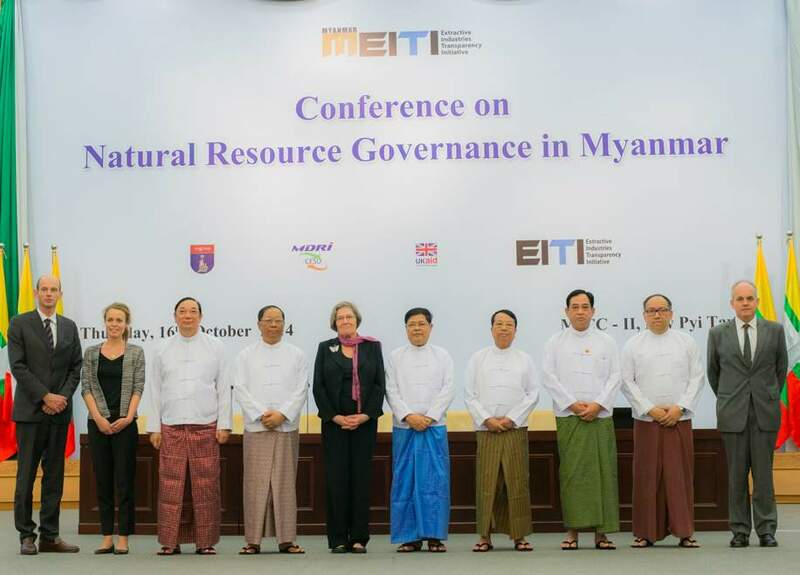 Myanmar became a candidate member of the EITI in 2014. Members commit to opening up their mining sectors to public scrutiny. 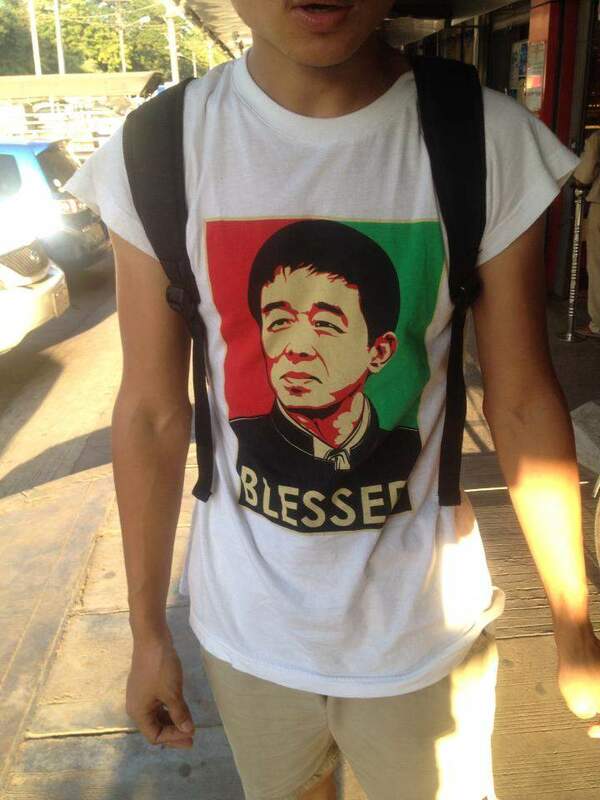 An image of KIA leader Gun Maw on a t-shirt in Yangon. 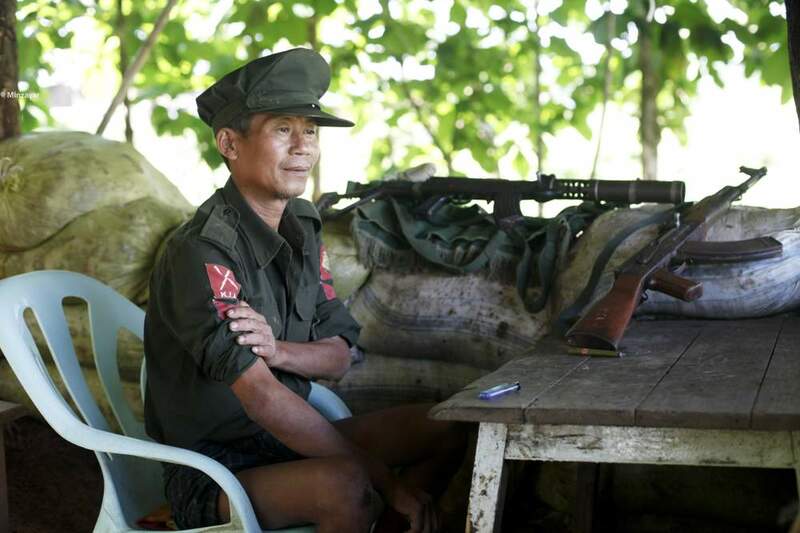 Another key potential opening concerns the peace negotiations between the central government and the KIA/KIO. As with EITI, the US and other western government are heavily invested in this process. Given the current situation and the history of jade and armed conflict in Kachin, the government and its partners need to recognise the reality that a peace deal that once again avoids this question will not last. 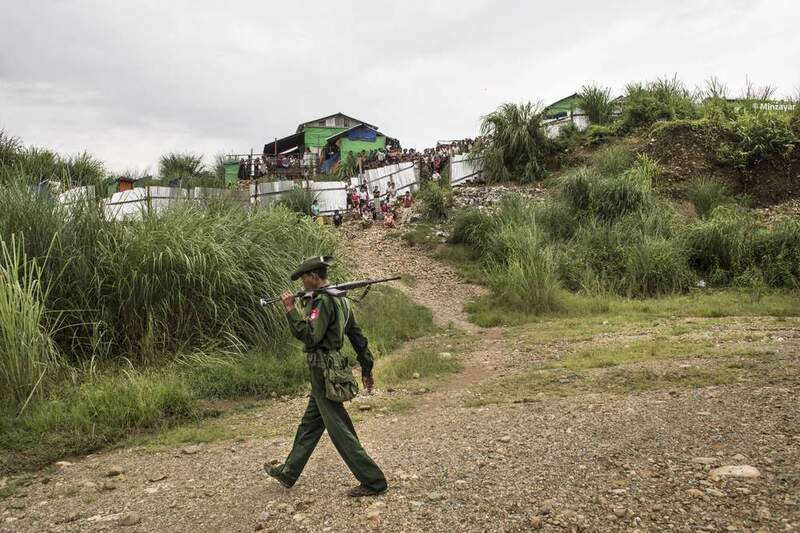 To his credit, the minister overseeing peace talks, Aung Min, has publicly highlighted the need for wealth sharing to resolve armed conflict in Myanmar. To date, however, there has been no meaningful discussion of what this would mean in the Kachin context. While the onus is on the government and the KIA/KIO to take the initiative, it is crucial that local voices can feed into this debate. 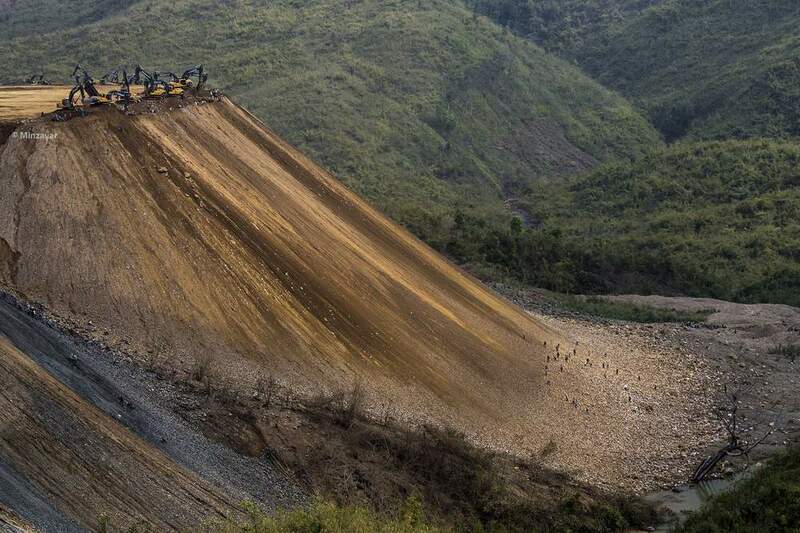 Kachin civil society organisations have already begun developing ideas on what future natural resource management policies might look like, and an excerpt from a recent proposal by the Kachin Development Networking Group is included as an appendix to Global Witness’ full report. 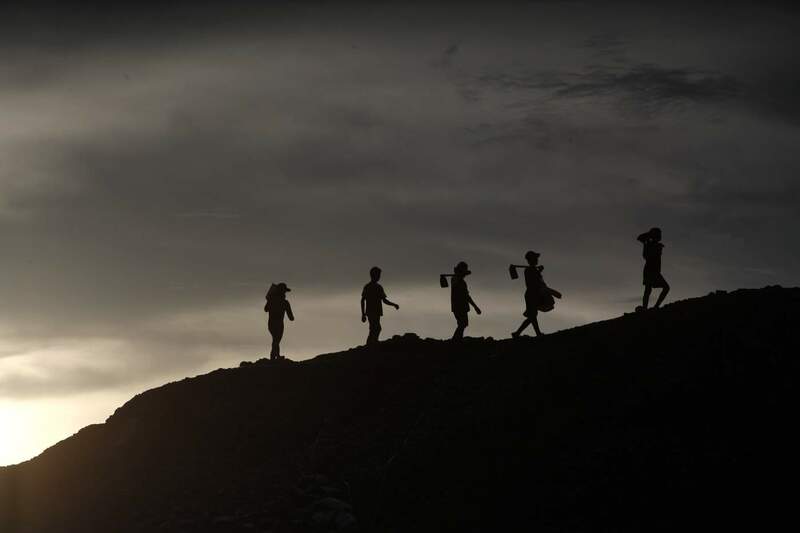 Both sides in the conflict should urgently build on these foundations by consulting with a diverse range of civil society groups across Kachin State, and beginning a dialogue on a new model of shared ownership, management and revenue distribution for jade. If the US uses its influence to support a more transparent approach to jade this could make an important contribution to prospects for peace. Both the peace process and the EITI are magnets for western donor funding. This brings with it excellent opportunities for donors to push for substantive change, but also risks of them ducking difficult issues that get in the way of the positive narrative of Myanmar’s transition that some western capitals want to broadcast. 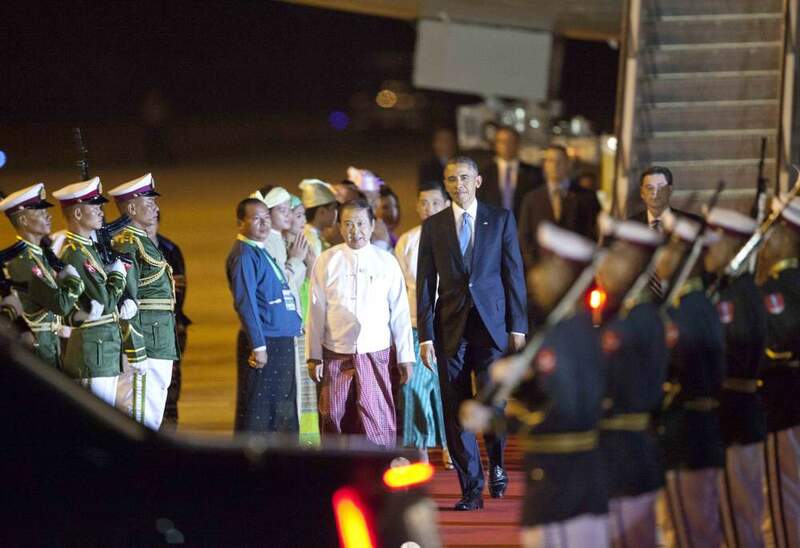 Both the Kachin conflict and jade are difficult issues. Neither can be dodged or deferred. The US also has the unique leverage of sanctions. Its JADE Act, which prohibits the import of jade, was originally designed to stop members of “the Burmese [Than Shwe] regime and its supporters [financing] their ongoing violations of human rights, undemocratic policies and military activities”. 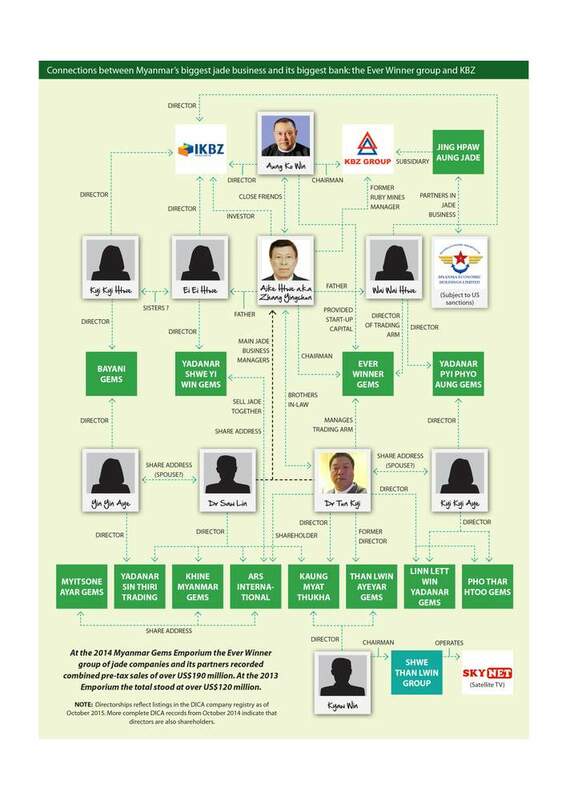 Our investigation shows that some of these same people remain the main beneficiaries of the jade business. The US Treasury also has sanctions on ‘crony’ tycoons as well sanctions targeting drug lords. Again, both groups are well represented at jade’s top table. Global Witness does not believe that all of these sanctions should be maintained forever. But neither should they be discarded too hastily; nor treated as a giant ‘on/off’ switch whereby stringent measures suddenly give way to no safeguards at all. As the US government knows well, from its experience in Liberia for example, a process of measured, incremental lifting of sanctions in post-conflict countries can provide one of the best guarantees of meaningful reform of natural resource industries that are enmeshed with armed violence and corruption. The opportunity is there for the US, other governments and international donors and their reformist partners in the Myanmar government to agree a set of measures and milestones by which, as the jade industry becomes more open, and the benefits are shared far more equitably, the sanctions are progressively scaled back. Some suggestions on what these specific measures should include are set out in the recommendations section that follows. Minister of Mines Dr Myint Aung and Minister of Energy U Zeyar Aung are in attendance as Myanmar joins the EITI. Develop new ownership, management and revenue sharing arrangements with Kachin State for jade and other natural resources in conjunction with the KIA/KIO and local civil society groups, as part of a comprehensive peace agreement. Ensure that these arrangements maximise the social and economic benefits for the local and national population, taking account of the needs of both current and future generations. Prioritise full implementation of EITI in the jade sector. As such, publish data on: jade licence bidding processes; who current licence-holders are and what licences they hold; jade production volumes; government revenues from jade concessions (broken down by project);other revenues from jade, including revenues from government shares of state-owned enterprises; full contract and licence terms (including environmental and social protections); and arrangements with state-own enterprises. In line with EITI recommendations, require jade concession holders and companies bidding for concessions to disclose publicly the identities of the individuals by whom they are ultimately owned and/or controlled (the ‘ultimate beneficial owners’). In addition require disclosure of any associations with public office holders (past or present), and any past record of corruption or environmental or human rights abuse together with details of measures taken to address such issues. Make the above EITI provisions on data disclosure a requirement of new mining, gemstone and other laws governing the jade business. 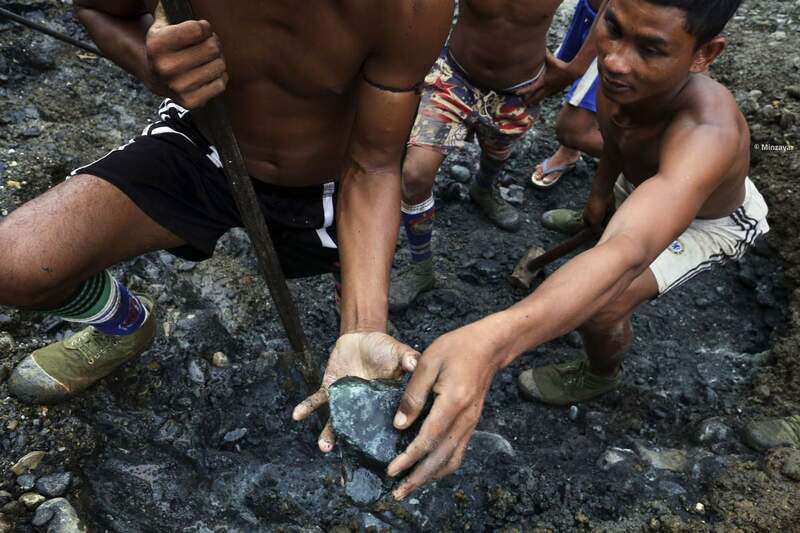 Immediately review and revise bidding processes for jade concessions in consultation with Kachin and Myanmar civil society to make them open and fair. This should include introducing explicit protections against conflicts of interest and corruption which take account of the identities and histories of bidders. Reinstate the company shareholder details in Myanmar’s company registry, and publish additional information on the ultimate beneficial ownership of companies. Require the accounts of state-owned enterprises (including entities which are partly or wholly owned by the army) to be independently audited and details of all jade revenue receipts and transfers to the state government to be published. Publish a detailed breakdown of government expenditure so as to allow local people to track where jade money ends up. Review and revise existing laws to bring them into compliance with the EITI Civil Society Protocol and to ensure that civil society and the media are free to hold the government and companies to account over jade sector management and operations without fear of physical, legal, or other forms of retribution. Simplify and clarify taxes on jade, with input from the private sector, local government and civil society and strengthen revenue collection systems to reduce tax evasion, particularly at the mine site. 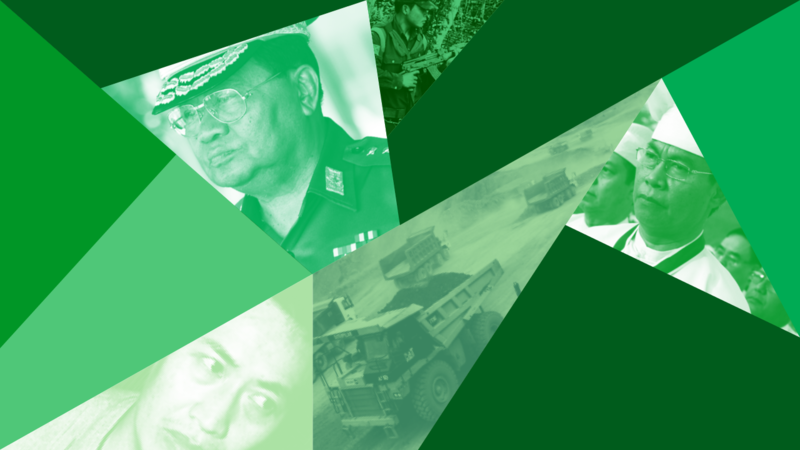 Investigate jade-related corruption involving army, police, government officials and companies; prosecute perpetrators and hold to account those with command responsibility. Cancel any jade mining licences obtained through corruption or held by companies that have broken the law or contributed to human rights or environmental abuses. Review and revise laws, regulations, policies governing the jade sector, and the terms of licences and contracts for jade concessions to ensure they include environmental and social protections in line with international standards including: the UN Human Rights Council’s Guiding Principles for Business and Human Rights; the Voluntary Principles on Security and Human Rights; the International Finance Corporation’s Sustainability Framework; and the International Council on Mining and Metals’ Sustainable Development Principles. 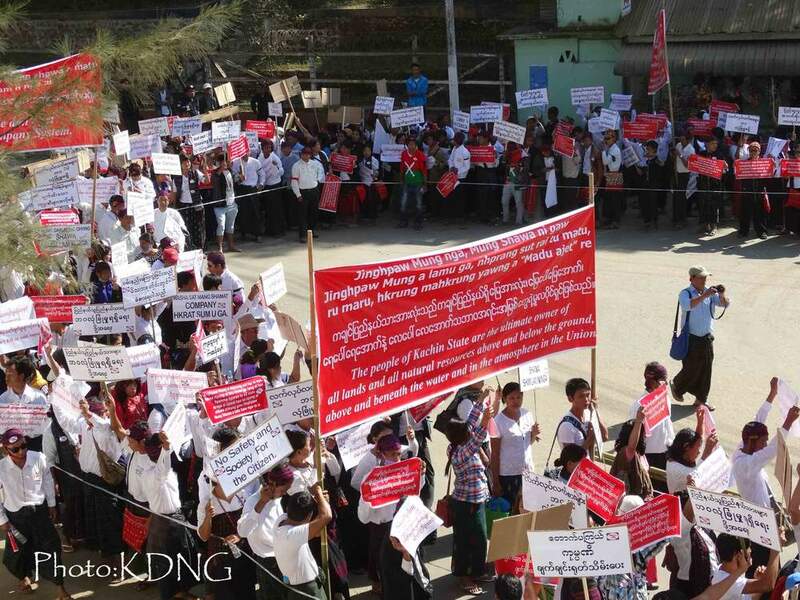 Amongst other measures, a grievance redress mechanism should be established, in a form agreed after public consultation within Kachin State, with effective penalties for companies which fail to comply with environmental and social protection requirements. Establish an independent monitor to ensure that environmental and social protections are implemented promptly and fully, with regular public reports on breaches identified and how they are being addressed. Pass legislation that prohibits the military, police and other security services, and their individual serving officers, from establishing, operating, or exercising beneficial ownership over companies. 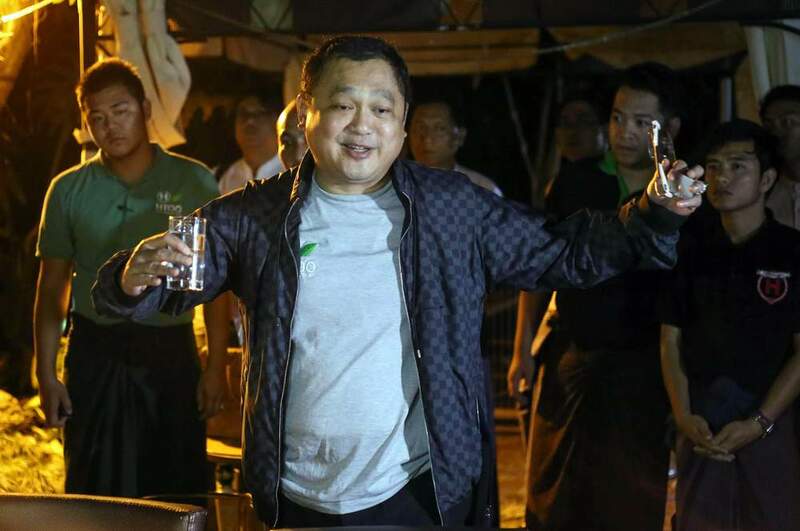 Without greater transparency, the jade business will continue to represent a giant slush fund for hardliners like Than Shwe and will pose a significant threat to Myanmar’s political transition. Make funding and other forms of support to the Myanmar government and (in the case of the US) the lifting of sanctions conditional on delivery of the above reforms. Provide technical support to the government’s efforts to implement EITI, particularly with reference to reforms of the jade sector, and to efforts to incorporate EITI principles into laws on natural resource management. Provide technical support to the government, KIA/KIO and Kachin civil society’s development of new ownership, management and revenue sharing arrangements for the management of jade and other natural resources as part of a comprehensive peace agreement. Support, financially and politically, civil society organisations in Kachin State and across Myanmar that are working to increase accountability in the management of natural resources. A small-scale jade miner clutches a raw jade stone that he found searching on a company waste pile, Hpakant, Myanmar. 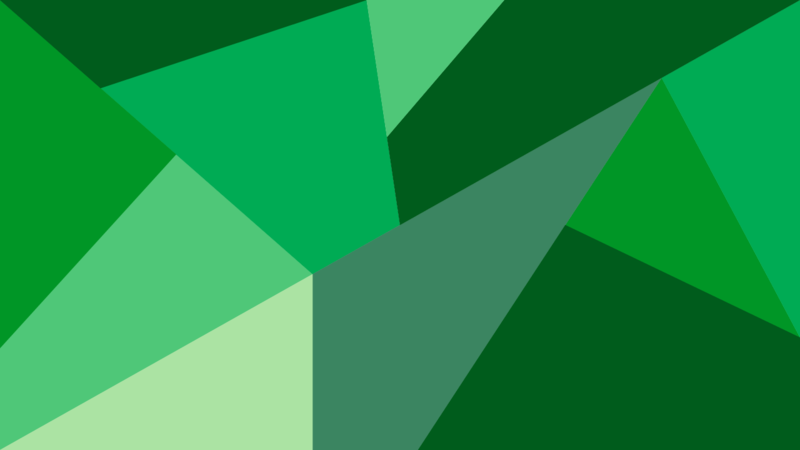 Publish data on management of the jade sector by KIA/KIO authorities, in line with EITI, including details of the KIA/KIO taxation regime, expenditure and oversight. 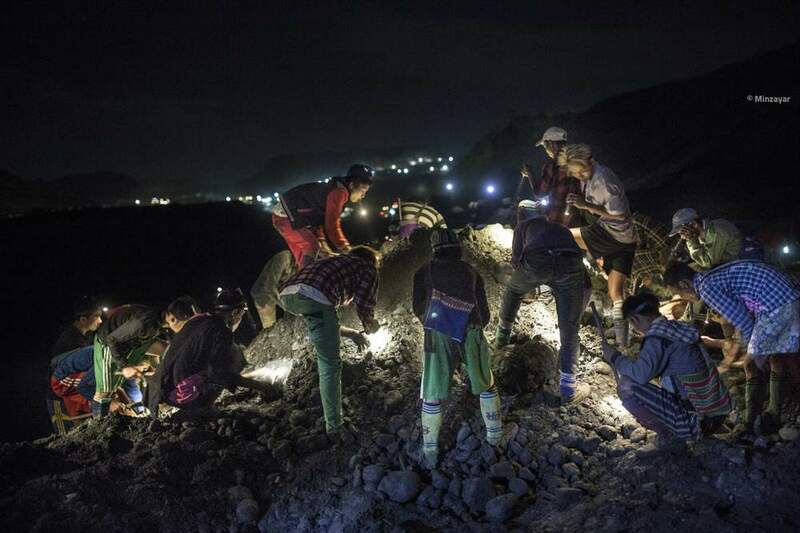 Draw up policy proposals for how Kachin State would manage the jade sector under a federal system, with input from a diverse range of civil society groups in Kachin State. 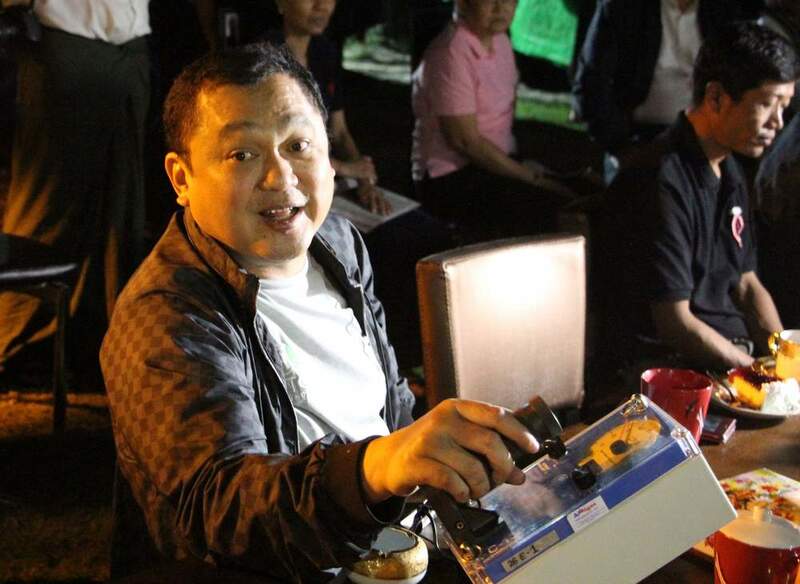 Investigate jade-related corruption involving KIA/KIO officers and officials, prosecute perpetrators and hold to account those with command responsibility. Disclose data in line with EITI requirements. This includes: tax and other payments to government from jade concession holders (broken down by project); names and identifying information (including national identification numbers) of the individuals who own and/or control them; and jade contract and licence terms (including any environmental or social provisions). State-owned enterprises, including army companies, should disclose their stakes in jade mining and trading ventures and transfers of money to other branches of government in line with EITI. Immediately review existing mining operations and halt activities which breach national or international laws and standards on environmental, social, human rights and worker rights. Establish and implement policies and procedures to minimise and mitigate environmental, social and human rights impacts of jade mining operations, in line with international standards including: the UN Human Rights Council’s Guiding Principles for Business and Human Rights; the Voluntary Principles on Security and Human Rights; the International Finance Corporation’s Sustainability Framework; and the International Council on Mining and Metals’ Sustainable Development Principles. Carry out rigorous due diligence on existing or prospective local partners particularly those with potential connections to the gemstone sector. Publish the names and national identity numbers of all individuals who own and/or control stakes in local ventures, together with background information on these individuals. These diagrams set out three of the key jade business networks Global Witness has identified in its research. The first one is centred around former dictator Than Shwe and the second around drug lord Wei Pseu Kang. The final diagram sets out the Ever Winner network of companies and connections. Please contact Global Witness for full size versions. This short online report is taken from the Executive Summary of our main report, which is available here with full references. 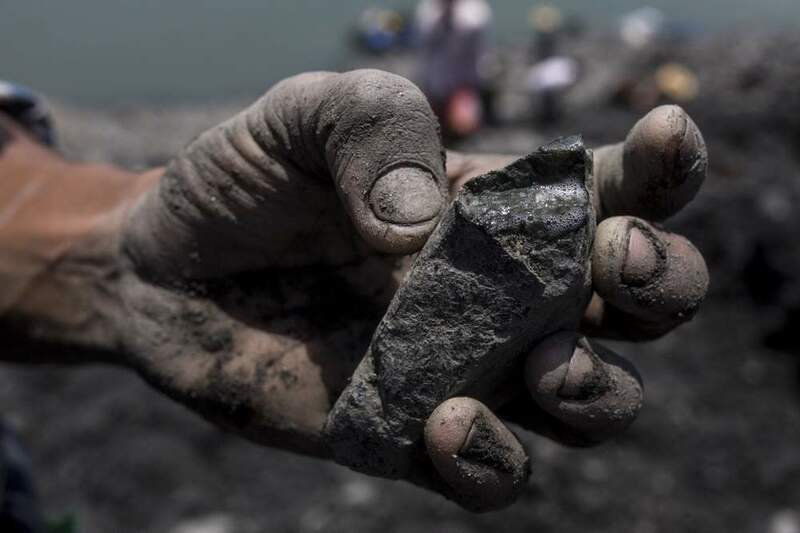 It sets out the epic scale of the country's jade trade, the corrupt elites who control it, and what needs to be done by the Myanmar government and its international partners to fix it. For more on Global Witness, please visit our website.